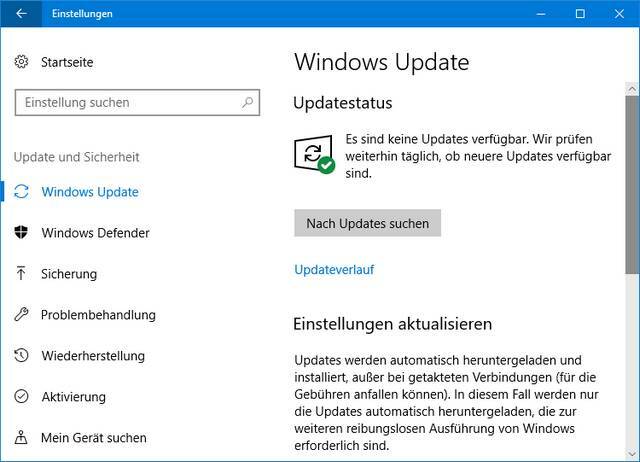 [German]Microsoft has released its Windows 10 October 2018 update (version 1809) on October 2, 2018, but stopped this rollout on October 6th due to major issues. On November 13, 2018, I assume, the rollout will be continued. Within this FAQ I would like to answer some questions about the feature update to V1809. What’s New About Windows 10 October 2018 Update? There are some new features like Storage Sense, an improved clipboard, new editor functions etc. Microsoft has added the amount What’s new in Windows 10, version 1809 for IT Pros with the new features to its website. The following video contains a summary of the new features. 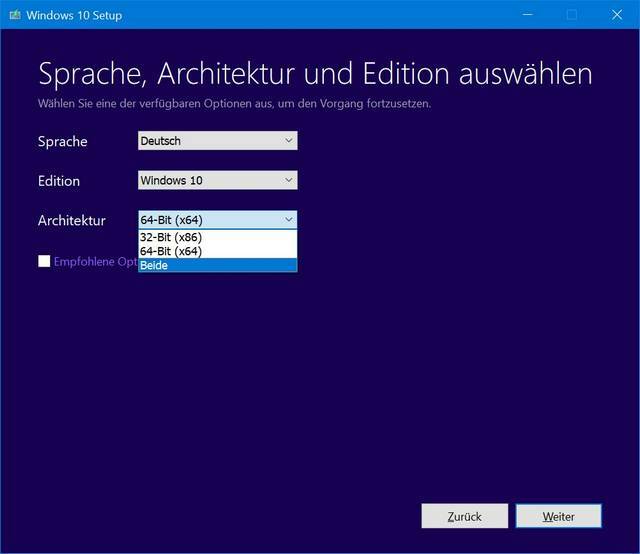 When exactly Windows 10 V1809 will be released? Windows 10 October 2018 Update (Version 1809) was released on October 2, 2018. It was temporarily available through Windows Update till October 6, 2018. Then Microsoft pulled this feature update due to serious issues. From November 13, 2018, I guess, Windows 10 V1809 will be rolled out more widely via Windows Update. This will happen automatically if the machine has been classified as compatible for the update. I had mentioned some rollout details withing the blog post Windows 10 Oktober 2018 Update available (October 2, 2018). The feature upgrade to V1809 is distributed via Windows Update. Therefore, simply open the Settings app from the Start menu and go to Update & Security. On the next page under Windows Update, click the Check for updates button and let Windows check for updates. As of November 13, 2018, this should no longer be necessary. As soon as the computer is ready for installation, the feature update for Windows 10, version 1809, will be offered, automatically downloaded as an update and installed. If the update search does not show a feature update, this is not a problem. Microsoft rolls out the update in waves. First, Windows computers that are still fairly new and 100% compatible will receive the feature update to Windows 10 October 2018 Update. If there are no problems there, the next device wave enters the update cycle. If there are problems, Microsoft can stop the rollout and fix the problem first. Which computer receives the feature update is determined by the telemetry data. The entire rollout can take up to three months. Where can I download Windows 10 October 2018 Update? 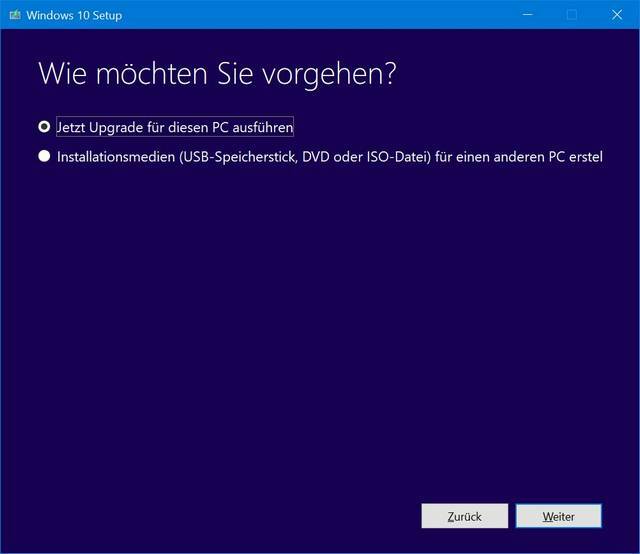 If you want to upgrade your system to Windows 10 Version 1809 immediately, you can download the ISO installation file and start an upgrade installation. Alternatively, you can initiate the upgrade on your existing computer using the Windows Media Creation Tool. The Windows Media Creation Tool can be downloaded from this Microsoft site. The file MediaCreationTool1809.exe (or similar) need to bee executed under an administrator account. The tool will guide you through the steps to download the Windows 10 V1809 installation image of the MediaCreationTool, save it to a USB stick or to an ISO file (for burning to DVD) or install it locally. If the option to save is selected (image above), the tool offers the selection of the desired Windows variant. If you uncheck the Recommended options checkbox in the dialog box above, you can select either 32 or 64 bit as the installation image or have both variants integrated into one installation medium. Please note, however, that the download of both variants no longer fits on one DVD. In addition to the Windows Media Creation Tool, Microsoft also provides ISO installation files on its web servers. MSDN subscribers receive the ISO installation files in the download portal. There will also be downloads of ISO files in the Volume License Center. If you are a normal user and want to have an ISO installation file, I recommend to visit the Adguard page. 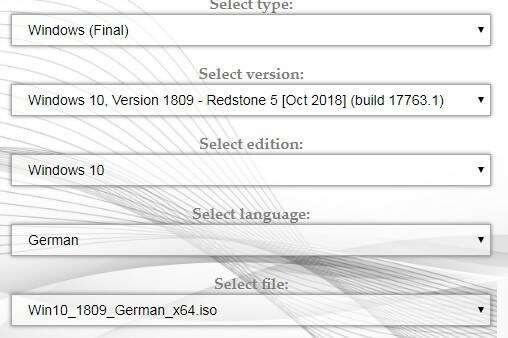 I mentioned this briefly in the blog post Windows 10 V1809: Re-release on Nov. 13/14, 2018?. The Download button downloads the ISO file directly from the Microsoft servers – so it’s an official download. How do I block the upgrade? If you want to stay on the previous version of Windows 10, you can block the feature update. Administrators of Windows 10 Pro or higher can specify in the update settings that the feature updates are to be postponed for a certain period of time even if there is a direct Internet connection (see the following screenshot). Then the update should be delayed. For WSUS systems, the administrator explicitly releases the function updates for the clients. For WSUS, please note that the Dual Scan is switched off. Otherwise the Windows 10 clients get the function update directly via Windows Update instead of via WSUS. In Windows 10 Home, the feature update need be blocked manually. I discussed an approach within the blog post How to block Windows 10 updates. You can also set the Internet connection to ‘Mobile’ (Metered) to prevent the download. This entry was posted in Update, Windows and tagged FAQ, Upgrade, Windows 10 V1809. Bookmark the permalink. the latest Media Creation tool should be downloading the re-released 17763.107 build of v1809 instead of the original 17763.1 build of v1809.